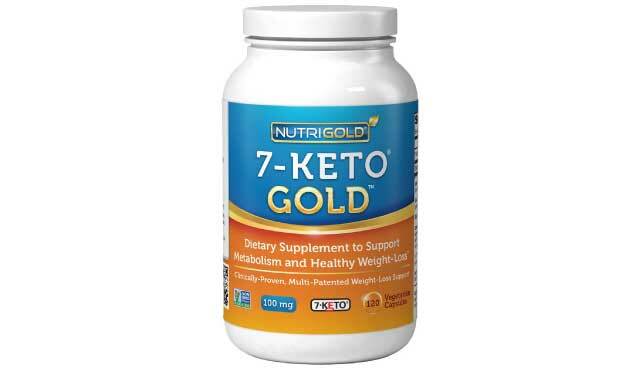 Nutrigold 7-Keto Gold is a newer brand that is still trying to mature and gain traction in the supplement industry. That being said it does have the highest amount of user reviews on Amazon.com. It has a decent amount of positive user feedback, the price is affordable, but the lack of credibility of the brand makes us a bit skeptical. Since availability will be limited to mostly online retailers we would suggest you shop around and compare this brand to other top-tier brands before you make a purchase. When it comes to supplements it’s difficult to know whether or not you are getting what is advertised. The best way to know you are not getting ripped off is by purchasing from a brand that is credible and has been around for quite some time. 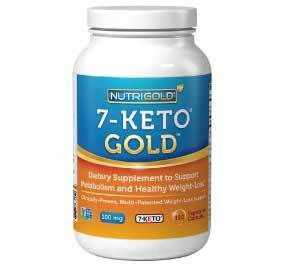 Nutrigold is still fairly new and we are still skeptical about whether or not you should purchase from this brand. This is not to say that this product is ineffective but we would strongly urge you to go with more well-known company. 120 capsules for $34 is an awesome price and you will have a difficult time finding a product offering that sort of deal.